The tech community needs developers like you. With such a hot Job market — you will need to land your foot right. We had a tremendous response to the 2017 Summer Training batches and many professionals requested for a Classroom-based Training in the USA. We are very excited to announce that our classroom training will start in May 2018 in Atlanta and Detroit. With the experience of Training around 2.5 million students in last 15 years on Various Technologies. 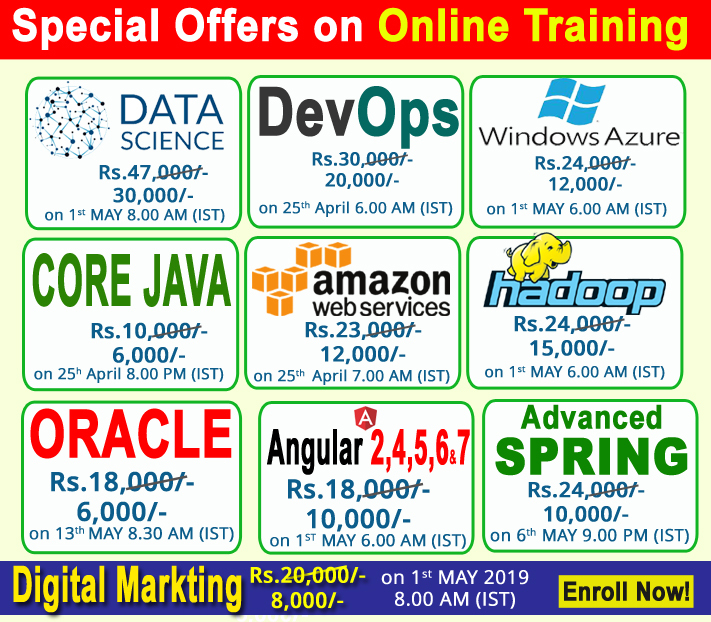 We are now providing the same quality classroom training on Core Java in the USA – The training will be provided on Weekends by Industry Experts with Real-Time Scenarios. Career Guidance – With so many new technologies popping up every month, Our experts will provide guidance based on your Education Background and Interest. Note: We are also working continuously to give best classroom training even in other states in Chicago, New Jersey and Dallas.